What makes it sound interesting, is that the developer says the weapons aren't just guns with different attributes. As they said "Weapons in Night of the Blood Moon will completely change the way you play the game. How you position yourself, and which enemies pose the most threat. Hookshots, Boomerangs, and Spellbooks are the beginning of a growing inventory.". It sounds interesting so I'm quite excited to see more from it. It was actually funded on Kickstarter in August earlier this year. It didn't get a huge amount of support, so it seems it's one we completely missed. There's other bits about the game which make me curious too. Each level has a different set of enemies, there's boss battles each with their own mechanics, pets that you unlock as you progress each with their own unique helpful ability and more. 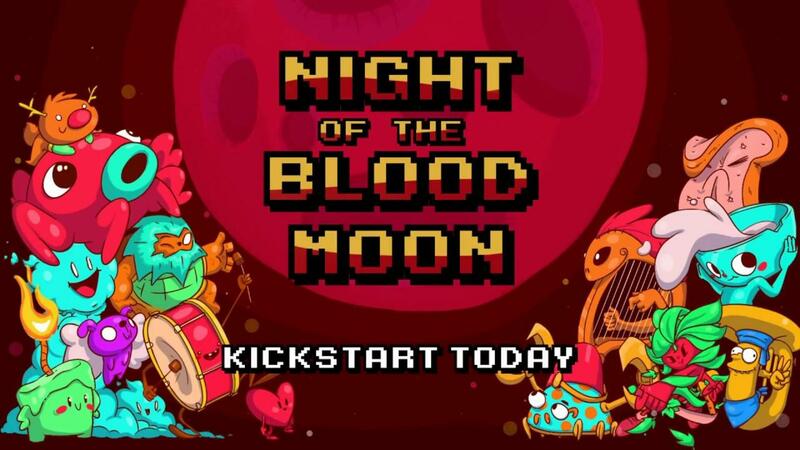 With lots of new skills at my disposal, Night of the Blood Moon now works great on both AppleOS, and Linux + Steam. Good to know we shouldn't see a delay with this one! Follow along and wishlist it on Steam if it sounds like your thing. Makes me think of "Zombies Ate My Neighbours"